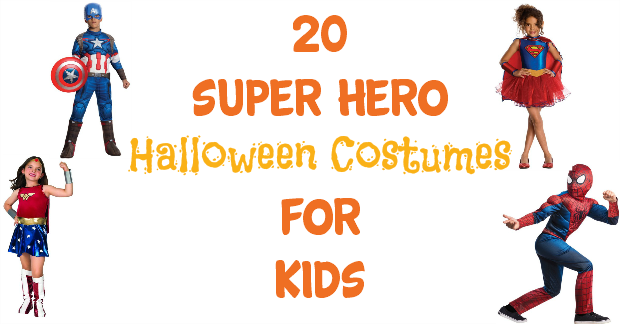 20 Super Hero Halloween Costumes For Kids! 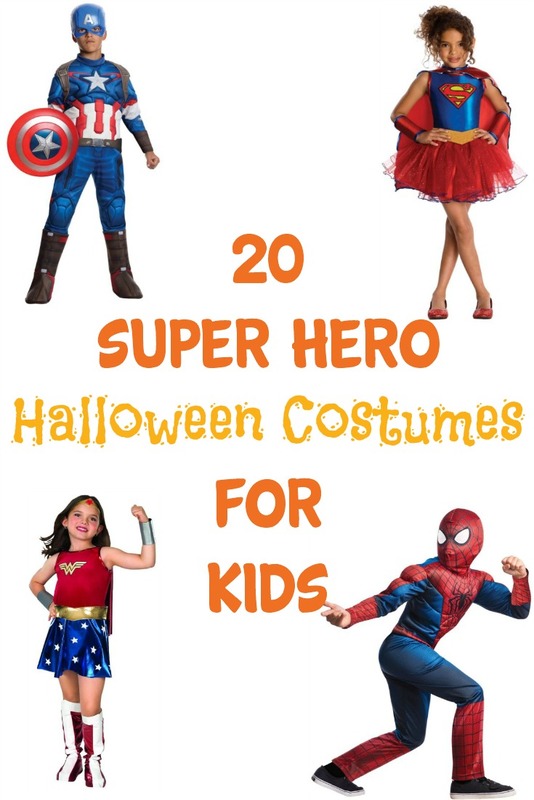 You are here: Home / Holidays / Halloween / 20 Super Hero Halloween Costumes For Kids! Ok, so I don’t have little ones of my own at home anymore, but, I did struggle with Halloween and the costumes when they were growing up. First of all I am not crafty – so making anything was out. Second, I didn’t like ewwy, gooey, gory stuff and my kids weren’t allowed to watch those things or “be” those things. We mostly did church events on Halloween – we had Fall Festivals where they could dress up and play games and win prizes and candy, so, they didn’t “miss out”. However they did have dress codes of sorts – we could dress as Biblical characters or anything that God made. So, that left a lot of doors open. BUT, I would have been happy with any of the costumes in this roundup! My kids – well, my boys – are grown and STILL loving meeting their Dad for the midnight sneak peek of the newest super hero movie!